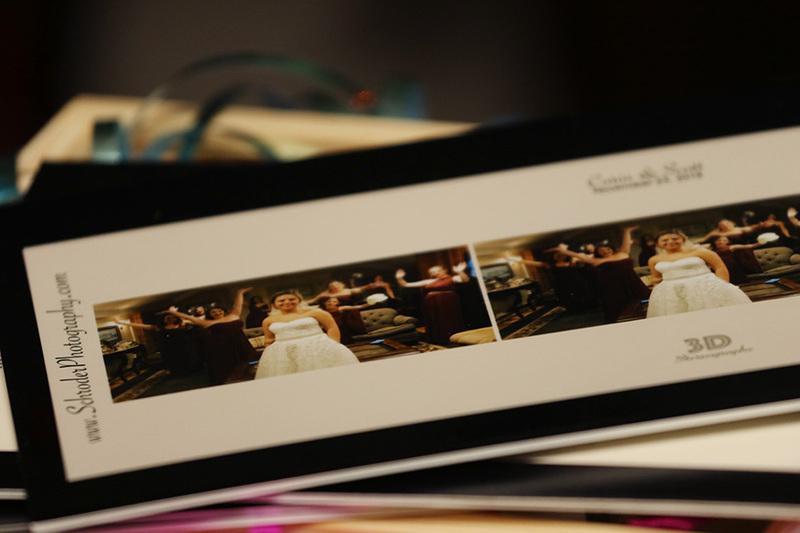 Add-on: Exclusive 3D wedding Stereographs! 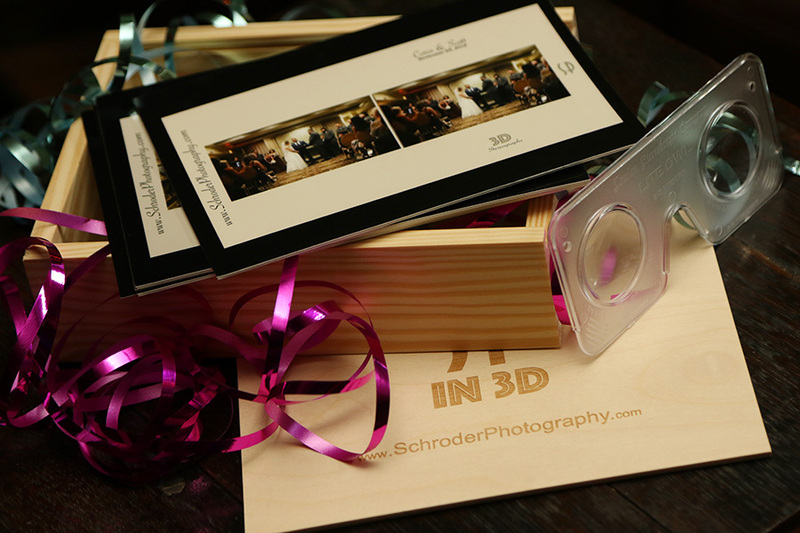 Home » 3d stereographs » Add-on: Exclusive 3D wedding Stereographs! Your custom made box will have your names and wedding date engraved in place of the SP logo. BIG NEWS! I have added to my lineup of photographic offerings for 2019/2020 weddings and beyond something no other photographer that I know of ANYWHERE is offering (I’ve kept it a secret until now), real 3D Stereographs of highlights from your wedding day! 3D stereographs are prints that when viewed with an included viewer, allows you to relive your wedding day in a way that makes you feel like you are there. You see and feel the depth. 3D! You will receive a little custom made wooden box with your names and wedding date engraved on it. Inside this box will be somewhere between 40 to 50 exclusive and unique 3D photographs (roughly 5×7 in size) of various moments of your wedding day. These are not digital files but actual prints. To be able to actually view the photos in 3D you need a special pair of 3D stereo viewing glasses, but don’t worry I have you covered! The included viewer will be placed inside the custom box with the prints all wrapped up with a pretty ribbon. I am sure that anytime you have family or friends over, everyone is going to have a great time taking their turn looking at one of your wedding photos in full 3D. The custom box makes it ideal for you to leave it on display on your coffee table or for easy storage and retrieval. If you add 3D Stereographs to your wedding package, the main (2D) photography coverage will remain the same at your wedding, with the only difference being that at certain moments I will take occasional 3D photos with my 3D stereograph camera. You will still receive the same amount of regular digital photographs with the only difference being that you will also get a bunch of photos in 3D! Win win! 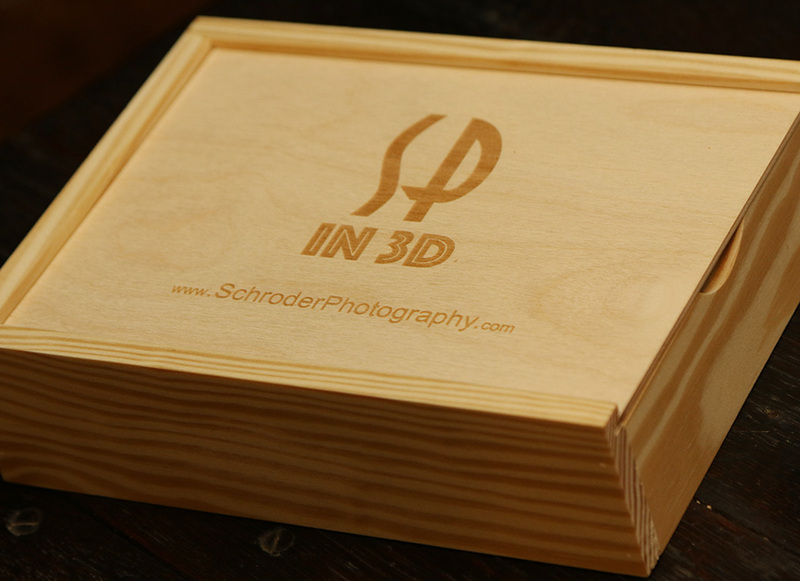 Check out some pics of the Schroder Photography 3D stereographs package and a little about the history of Stereographs. Let me know if you are interested and I can fill you in on more details (eMail). Dozens of 3D Stereographs will be stored in box and ready for viewing with a unique viewer from the London Stereoscopic Company. With the use of the included stereo glasses you will relive your wedding in realistic 3d! The sample 3D wedding photos above were taken at the last wedding I photographed in 2018. 2019 couples are in for a big treat! Photography was invented in 1839 and by 1850 or so it was figured out that if you took 2 photographs from slightly different perspectives (just like your eyes see) and place those photos side by side while viewing them through a special viewer you would see the image in 3D or as it was called back then in stereo, hence the name Stereographs. For about 50 years, believe it or not, until about 1910, Stereographs were the main form of family entertainment at home. Before TV, before Cinema and before Radio, families would gather to view stereographs professionally produced and widely sold at the time. Back then traveling around the world was not common so 3D photographers would photograph famous and not so famous sites around the world and the general public would purchase these stereographs and view them at home with the family. To this day many of these stereographs can be found for sale online….but even better, with the viewing glasses included with this wedding add-on you can go online to the Library of Congress and view thousands of century old Stereographs that they have scanned and stored online right on your computer screen. I am very happy to be able to offer this custom add-on to my clients. No other wedding photographer, anywhere that I know of offers this type of photography coverage. About the Photographer: Louis Schroder has photographed over 500 weddings in the Tri-State area and is available for family portraits, events and other photographic projects. Please email or call me for inquiries. Louis Schroder has photographed over 500 weddings in the New Jersey New York area and is also available for family portraits, events and other photographic projects. Please email,call or text me with any questions, I would love to talk about your wedding day! Louis Schroder has photographed over 500 weddings in the New Jersey New York area and is also available for family portraits, events and other photographic projects. Please email or call me for inquiries.